Globecomm is enabling advanced monitoring of VSAT communications systems with a new service called Globecomm Connect. 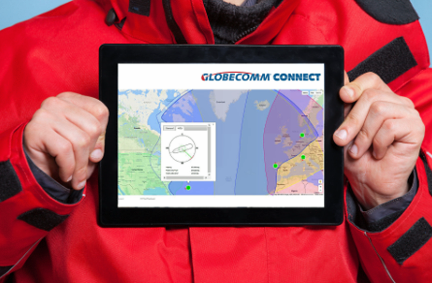 Customers of Globecomm VSAT can use Globecomm Connect to gain visibility of their network’s status and performance whether at sea or ashore. Maritime customers can use the Connect Ship portal to monitor performance at sea, while land-based users in any market vertical can use the Connect Customer portal. The Connect Ship portal provides visibility to the master and crew of network status, current beam in use, ship’s course and speed and diagrams of beam direction and elevation enabling better communication’s management. The Connect Customer portal is accessible to shore-based users who wish to monitor location and network performance and receive comprehensive ship-based telemetry from their fleet. This can benefit fleet operators with more efficient routing and potential fuel savings. Network throughput statistics for the last day, week, and month can easily be viewed providing ship managers with transparent updates of data usage, a tool which, when combined with Globecomm’s unique metered data plans can help operators control communication costs. Globecomm Connect will soon provide customers with detailed network availability reporting. By tracking outages and using tools to identify the causes, Globecomm can demonstrate the high availability of Globecomm VSAT in support of customer operations. Malcolm McMaster, the President of Globecomm Maritime, stated that knowing that your system is operating as expected, how much throughput remote sites are achieving and whether interruptions are likely are becoming key requirements that Globecomm Connect meets with ease. 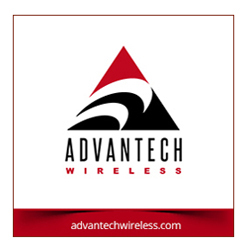 Using the Internet of Things to monitor network assets is an ideal application of a powerful technology that can deliver performance information into the hands of users quickly and easily. Globecomm Connect offers powerful data and information from service launch and this is just the beginning as more IoT features will be developed and added by the company's development teams in the near future.